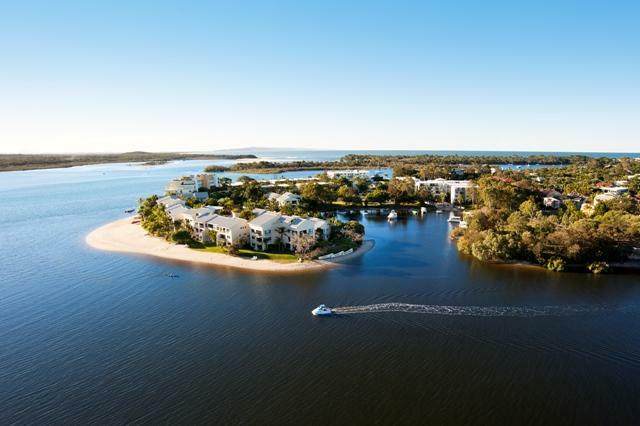 Culgoa Point Beach Resort is perfectly positioned right on the pristine Noosa River amidst 3 acres of tropical landscaped gardens and private sandy beaches. With direct access to the Noosa River, this Noosa resort is within a short ferry ride or 10-minute stroll to Noosa's famous Hastings Street. This Sunshine Coast accommodation is ideal for a family holiday or relaxed romantic getaway. Culgoa Point Beach Resort consists of 1, 2 and 3 bedroom self-contained apartments overlooking the tropical landscaped gardens, marina or beachfront. The resort offers fantastic facilities such as an outdoor heated pool, kids wading pool, sauna and spa, tennis court and bbq facilities. Try to catch your dinner while throwing a fishing line in at the jetty, hire a kayak, play a game of tennis or for those wanting total relaxation, enjoy a lazy afternoon around the pool or in the spa. Take the kids and visit one of the many Sunshine Coast attractions such as the famous Eumundi Markets, Australia Zoo, Ginger Factory or Fraser Island. 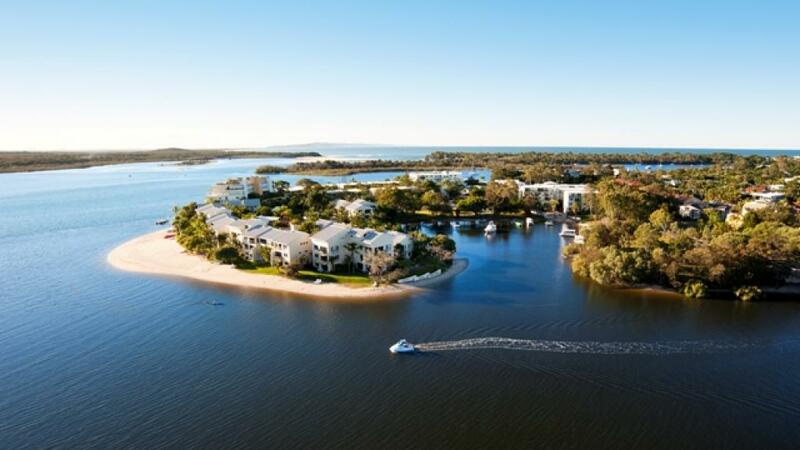 Noosa is perfect for the family for adventure, visiting attractions and total relaxation with Culgoa Point Beach Resort the ideal place to base yourself on your next Sunshine Coast holiday. Culgoa Point Beach Resort consists of comfortable and spacious 1, 2 or 3 bedroom self contained apartments. All apartments feature entertainment areas and balconies or courtyards with views over the tropical gardens, beachfront or marina. Please note that as apartments are individually owned, these images are a guide only. Beachside: 1, 2 & 3 Bedrooms. Located on various levels. Bedding is 1 Queen Bed, or 1 Queen + 2 Singles, or 3 Doubles or 6 Single Beds. Premium Beachside: 1, 2 & 3 Bedrooms. Located on various levels. Bedding is 1 Queen Bed, or 1 Queen + 2 Singles, or 3 Doubles or 6 Single Beds. Marina: 1 & 2 Bedrooms. Overlooking the marina. Bedding is 1 Queen Bed or 1 Queen + 2 Singles. Premium Marina: 1 & 2 Bedrooms. Overlooking the Marina. Bedding is 1 Queen Bed or 1 Queen + 2 Singles. Loft Style: 1 & 2 Bedrooms. Located on second and third levels. Bedding is 1 Queen or 1 Queen + 2 Single Beds. Garden: 1 & 2 Bedrooms. Located on the riverfront, overlooks the marina. Bedding is 1 Queen or 1 Queen + 2 Single Beds. Just a short ferry ride from Culgoa Beach Resort is the bustling Hastings Street with its diverse range of leading eateries. Take a romantic gondola cruise to dinner, or catch your own dinner fishing from the private jetty. With over 170 local restaurants and cafes, Noosa's dining options are endless. Noosaville provides breathtaking sunset views over the Noosa River with a mix of eateries along the Gympie Terrace Esplanade and the restaurant strip of Thomas Street. For those wanting something a little more casual, relax with family and friends while cooking your catch of the day on the bbq and enjoying sunset drinks on the beach. Or dine in the privacy of your own self-contained apartment.